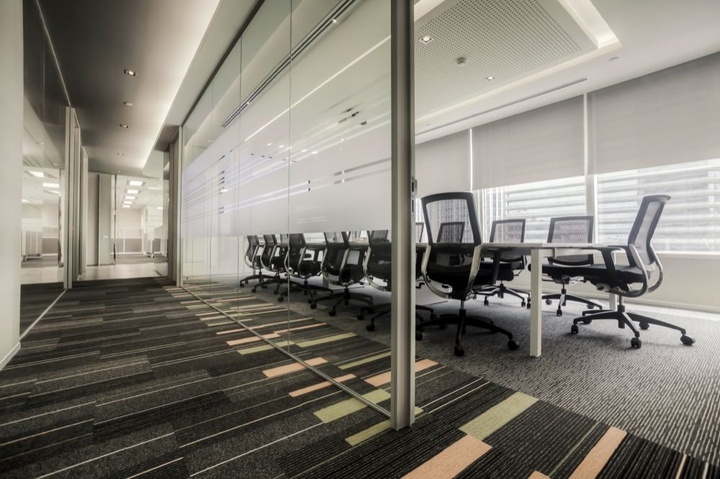 Decorative Film has quickly become one of the latest trends in modern office spaces. From visual privacy to color and design details, decorative film can instantly transform an ordinary office habitat into "extra" ordinary. Branding is super important, right? So why not add a knockout logo to your entrance window or doors for your visitors to see? The film adds a layer of privacy while enforcing your identity. It's common that companies place the names of their higher level employees etched into the glass or on a name plate. Have you considered creating the same look with window film? Do you have windows or a glass door in your conference room? Decorative film is a great way to add a design or stylish color to your windows, without losing the benefits of allowing the natural light in. You can select a busy design or pattern that disables onlookers from being able to see inside. The most popular case is to protect the windows of a conference room, but it works just as well on private office doors and entrance windows. Pick a textured look or even a pattern that matches your branding for the most natural look, while gaining privacy. Trust a window coatings professional to hear your concerns and make the right recommendations to meet your needs. The process is fast, easy, and usually a lot less expensive than you might imagine. Call Excellent Window Tinting at (732) 410-5728 or Click Here to request a quote online!